. "Toronto Feature: Royal Ontario Museum". The Canadian Encyclopedia, 02 July 2015, Historica Canada. 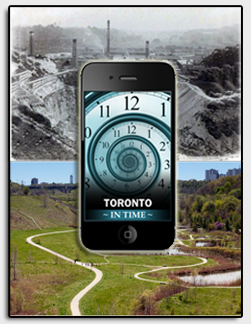 https://www.thecanadianencyclopedia.ca/en/article/toronto-feature-royal-ontario-museum. Accessed 23 April 2019. 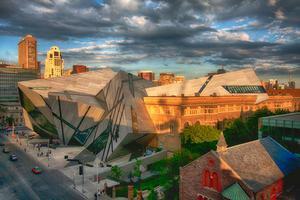 An architectural rendering of the ROM, opened in June 2007 (artwork by Daniel Libeskind). Off University Street (photo \u00a9 2012 by James Marsh). 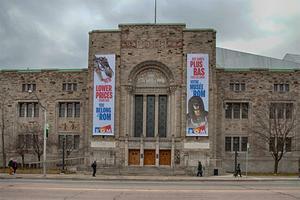 Part of the ROM's impressive collection of Chinese artifacts (photo \u00a9 2012 by James Marsh). Crofts went to meet Charles Trick Currelly, archaeological director of the museum, and asked him if he would be interested in buying some Chinese antiques. He showed Currelly some photographs and Currelly declared the items in the photographs the most beautiful Tang objects he had ever seen. Surely the cash strapped museum could never afford them! He was shocked when he heard the price--a fraction of what they would cost in London or New York. Crofts was a wealthy man who had made a fortune in the Chinese fur trade. He was extraordinarily generous, even waiving a commission. As a result of the association between the two men, the ROM became "home" to great treasures such as the lionesque tomb figures, statues, ivories, crystals, porcelains and an Imperial Wardrobe--helping to put the ROM among the world's great museums. 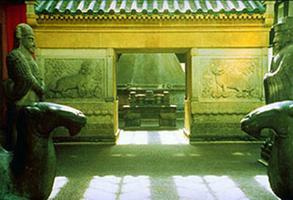 Among the Chinese artifacts that came to the ROM through Crofts, the most spectacular is the Ming Tomb, which arrived in 1921 from a village just north of Beijing. Almost 90 years later, research confirmed what had been only a rumour: the tomb had indeed contained the remains of famed Chinese general Zu Dashou (c 1565-1656), and his three wives. The Gallery of Chinese Architecture is part of the ROM's World Culture Galleries, adjacent to the spectacular Michael Lee-Chin Crystal, which was added to the ROM during the Renaissance ROM renovation, completed in 2007.